As SMS marketing drives Black Friday sales, we’ve collected the best Black Friday ideas for campaigns to help you during this weekend. Below are the most effective SMS campaign ideas for Black Friday. This is a very effective way of engaging your customers to shop more. 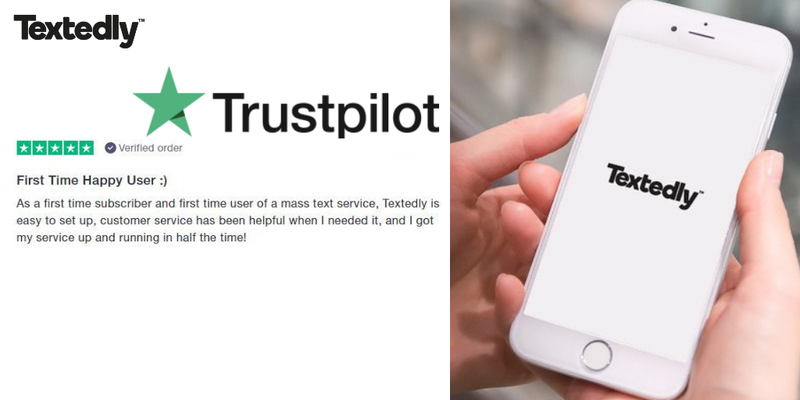 Here is how this technique works: you set up a specific keyword and ask your customers to text into this keyword, in order to receive a special promotion. The logic is to not only provide your customers with a promotion but to also collect their mobile numbers. So this technique creates a long-term advantage to your business’s SMS marketing. Text MEN to get your code for 20% off all menswear. So when the person texts the keyword, he/she will receive an automated response with the discount code and your business will add their mobile number to the subscription list. Also, based on the keyword the person uses, you can understand their interests and add them to a specific segment of the audience. When to pamper your customers if not during the Black Friday season. Offer them free gifts for every purchase they make in-store. During the check-out, ask your customers to provide you with their phone numbers. After you collect the mobile numbers at the purchase, you will send them a message informing how to claim their gift. This applies to online shopping as well. The same logic works for getting free shipping. When the person gets to the check-out page, you ask them to provide you with their phone number, so that you can send them a special promo code to use for getting a free shipping or a free gift. By using this campaign, not only you will increase your initial sales and encourage customers to shop more, but you will also collect a lot of mobile phone numbers. Thus, you will build a greater SMS marketing list for your text service promotions and increase your future sales too. Black Friday is not a one-day sale anymore. During the last decade, Black Friday grew into something bigger than just a Friday sale. Marketers took advantage of consumers’ eagerness to shop during sales. In total, Black Friday sales last at least 2 weeks, although the biggest sale happens on Black Friday only. The recent years had seen a rise of Cyber Monday. Cyber Monday is a marketing term for the Monday after the Thanksgiving holiday in the US. It’s the online equivalent to Black Friday. The idea is to persuade shoppers to shop more on the online platform. Texting services come very handy for extending the sales and encouraging even more sales. When the sales are over, make sure to text your customers a special link which will extend the sale for even longer. This campaign drives sales and increases conversion rates. Of course, you want to treat your loyal and reliable customers differently. They have given you their trust and sympathy. That’s why you want to thank them and make them feel even more special to your business. Send them exclusive discounts and sale deals. Your customers are more likely to engage if they know that the deal is exclusively available to them. 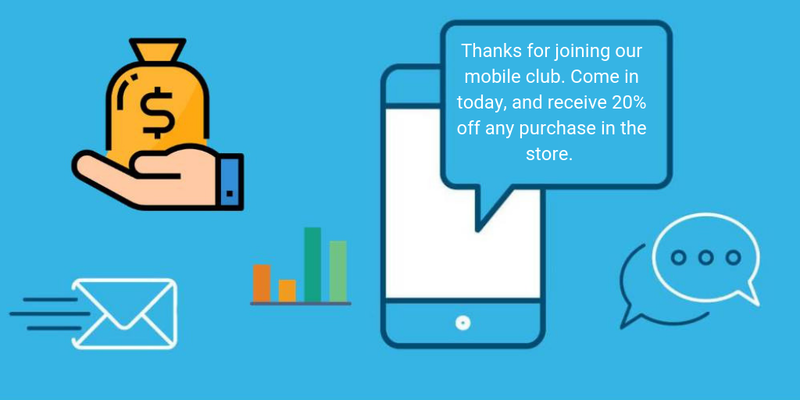 Also, make sure that your staff educates your customers about the privileges and benefits of joining the club of SMS services. The bigger is your SMS marketing list, the better you’ll be able to keep in touch with your subscribers and build loyalty. #5 Don’t Forget About the Rest! Hi Julia, we noticed that you haven’t shopped with us lately! Here’s a code for an extra 20% discount for any purchase in or off-site [insert code]. The code is valid for a full week. Enjoy! There can be many reasons why the subscriber has been passive. They might have changed their tastes or maybe they moved to another State. But it’s also possible that they just didn’t get a worthy offer from you and switched to a competitor. Anyways, you always want to make sure to do everything to retain your customers. Although it’s easier and quicker to send a single campaign to the entire list of subscribers, it’s not effective at all. You won't be able to create irresistible text campaigns if you don’t provide promotions for exactly what the subscriber wants. For example, consider the easiest segmentation technique based on gender and age. Then think strategically and create precise campaigns for each segment you target. 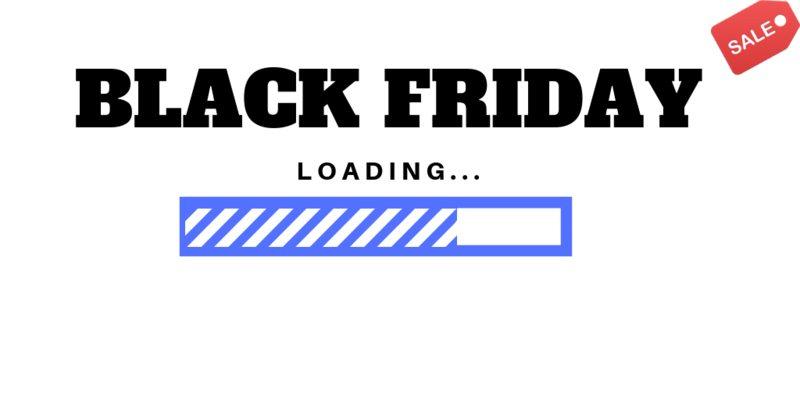 Black Friday is the best time to be pushy with your Black Friday ideas and campaigns. Usually, the most common mistake of SMS promotions is annoying subscribers with many text messages. But this can’t be the case for Black Friday because, during this season, sales is the only thing on the minds of the people. Competition is intense. You have to stand out from the crowd and push your promotions forward. Moreover, make sure to strengthen your campaign with secondary communication reminders. In the best case scenario, you should start sending the promotions a couple of days before the sale begins. As for the reminders, you can send these either on an actual day or on a day before Black Friday starts. Don’t forget to inform your subscribers how long the sale/promotion will be valid. Black Friday is always associated with a true shopping madness. Although SMS marketing drives Black Friday sales, you want to be sure that you work with a professional and reliable SMS service company like Textedly. All the SMS campaign ideas for Black Friday will be more efficient and cost-effective if implemented correctly. With Textedly, SMS marketing will turn Black Friday into a success by creating excitement, providing value and ensuring a cheerful holiday mood in the air.